Water Settings: 5 different settings to optimize the pH and ORP. SMPS Power System - Same high tech system that powers HDTV (High Definition Television), improving water quality and extending system life. Automatic sensing of incoming water pressure and temperature. *Lifetime Warranty on Parts and 5 Year Warranty on Labor<>. After 5 years, labor is a minimal fee of $0 - $199 + s/h per repair request. As if that was not enough you can also have the two other great options with this formidable machine. First you can get your Life 8000 with the seven platinum coated titanium plates combined with MESH Technology. MESH Technology is said to be a great way to optimize the creation of negatively charged alkaline water. Ultra violet light is included with your Life 7600. Exposing water to Ultra Violet light will help to kill germs. This technology is also used in some city water treatment systems. <> <>Life Ionizer has recently added a new innovation to the water ionizer industry: Energy Frequency Technology. Now can really cake and eat it too. If you are familiar with essential oils you may know about energy frequencies and how they affect health. Life Ionizer has found a way to capture this naturally occurring phenomenon and through its proprietary technology can now generate and encode 205 positive and healthy energy frequencies using techniques derived from the scientific discipline of quantum physics. What this means to you is that your water is more than just purified and ionized—it's energetic and restorative. 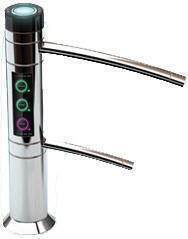 This is one more option you can choose when buying your alkaline water ionizer - only from Life Ionizer. <> <> Life Ionizer has now incorporated an electrolysis plate cleaning cartridge for the Life Ionizer 7500, 7600, 8000, and 8100 water ionizers. This Scale Cleaning Cartridge is a one time use filter containing a proprietary citric acid cleaning compound. It will clean the plates and chamber inside your LIFE ionizer. Made exclusively for LIFE Ionizers models 7500, 7600, 8000, and 8100. The Life Scale Cleaning filter will eliminate most scale build up on the plates and inside the chamber of your ionizer allowing for longer life and better performance. 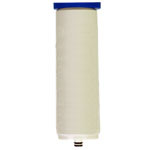 We suggest that you use this cartridge whenever you replace the cartridge filters. This is a great investment for your machine and will help your machine work like new over the life of your machine. Take a look at the Life Ionizer Scale Cleaning Cartridge Instructions. Your new Life Ionizer comes with two great cartridge filters to give your water the scrubbing it needs to produce clean and healthy alkaline water. Below please examine the cartridge filter specs. cs. The service life of the Vitamin filter is 5000 liters under standard conditions. Although not the LIFE 8100, this LIFE 8000 manual almost identical to the LIFE 8000, and it will give you a great idea on how to install your new LIFE 8100 Ionizer. Physicians Desktop Reference: LIFE Ionizers is the only ionizer on the market that is listed in the PDR. The Physicians Desktop Reference is the definitive guide for nonprescription drugs, dietary supplements, and herbs used by doctors. UL Certification: Underwriters Laboratories Inc. (UL) is an independent product safety certification organization that has been testing products and writing Standards for Safety for over a century. UL evaluates more than 19,000 types of products, components, materials and systems annually with 21 billion UL Marks appearing on 72,000 manufacturers' products each year. The UL certification is the standard in safety to ensure the device you are using is safe to operate. Whether it is an ionizer, TV, or a stereo, everything should have the UL symbol. Better Business Bureau: LIFE Ionizer has an A+ rating by the BBB (Better Business Bureau). BBB is the resource to turn to for objective, unbiased information on businesses. Their network of national and local BBB operations allows them to monitor and take action on thousands of business issues affecting consumers at any given time. Vitamin C Ceramic Ball Filter Technology: LIFE Ionizers are the only machines on the market that have this technology. With the LIFE Ionizer Vitamin C filter you get the best of both worlds. Perfect chlorine removal PLUS any benefits that may stem from being exposed to one of Earth's most powerful antioxidants - Vitamin C! The LIFE Ionizer Vitamin C filter is also a great Chloramine filter. UV Light Disinfection: LIFE Ionizers are the only machines on the market that offer this feature. UV light disinfection effectively kills bacteria, viruses, mold spores, fungi, oocysts (cryptospridium and giardia), and other microbiological contaminants giving your water that extra layer of purification. Free Quality DVD on Alkaline Water. "Vitalize, Energize, Alkalize"
SPECIAL BONUS: You'll also get 2 Half-Hour Free "Alkaline Life Coaching Sessions"
< If you find small white particles mixed in with the KANGAN water.